'Tis the season and life goes on in the East Village. The country has a new president-elect and history-making economic events that will affect us for years to come. We have gas for under $2 a gallon (at least outside the city) and the highest unemployment in decades. Travel plans are getting more expensive and retirement plans are evaporating. Businesses are stringing holiday lights earlier than ever, along with the "Sale" signs that used to trail by at least 30 days. It’s a new world, and that calls for embracing traditions with a new view of reality. That’s why I am inviting all EVA members to the annual EVA holiday event at 7 p.m. Tuesday, Dec. 2 at The Boundary Tavern & Grille, 1932 W. Division St.
A reservation is required. Please respond by Sunday, Nov. 30, to holiday@eastvillagechicago.org with your commitment to join us in this holiday tradition at a new venue. An EVA menu and reserved seating will be offered. Don’t expect Santa. In keeping with the tradition, we want to share with those in our community that are in need during this time. Everyone attending the EVA holiday dinner is asked to bring a donation of warm clothing that will be collected for Northwestern University Settlement Association. Bring anything from hats to socks, sweaters to boots, gloves, coats  you get the idea. Your donation can be sized for adults or children, new clothing or used (they must be clean and without holes). Please do not wrap the items, so they can be viewed by size. 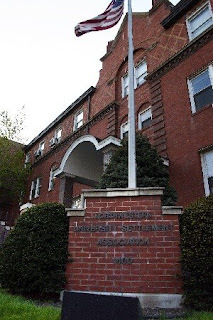 Northwestern University Settlement House, at Noble and Augusta, is dedicated to supporting families in West Town and will focus your donations to families in the East Village area. What a great way to share and care about those around you. This December holiday event will replace the monthly general meeting for EVA. 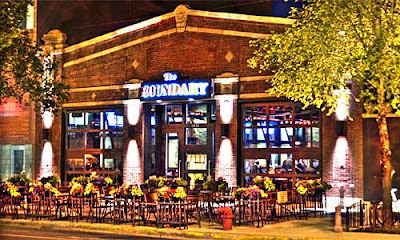 We will take this time to enjoy the life and times of our neighborhood while we participate with and support our local restaurant, Boundary. Please take time to join us in this EVA holiday event and share some warmth with the Northwestern Settlement House families.